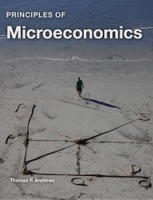 This is a principles of microeconomics textbook designed for introductory business majors. The book covers material for market analysis. Unlike traditional texts, this book is largely video based. Each chapter has one or more short videos that covey the bulk of the material.